We undertake annual ‘health checks’ on the status of all our fish resources. These assessments, along with trends in catch and fishing activity, are used to determine the status of our key fisheries in terms of sustainability. By ‘fishery’ we mean activities involved in catching a species of fish or shellfish, or a group of species that share the same habitat. Sustainability means ensuring the habitat and ecosystem supporting the fishery are in good condition. 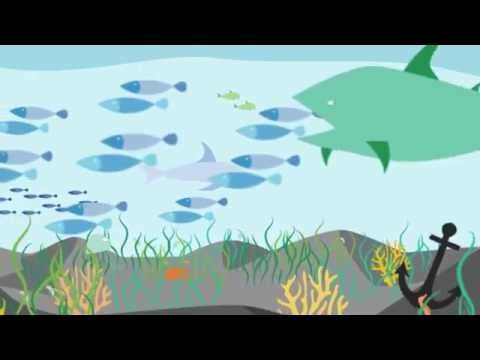 A sustainable fishery has sufficient spawning fish to produce the next generation, while allowing fishing to take place. This ensures we can secure our fish and aquatic fish resources for the future. The latest annual status report​ on Western Australia’s fisheries and aquatic resources shows that the State’s fish stocks are well managed and healthy. More than 90 per cent of our coastline is unaffected by fishing methods that interact with habitat, such as trawling. We have achieved these internationally-recognised sustainability benchmarks by being one of the first fishery management agencies in the world to introduce Ecosystem-Based Fisheries Management (EBFM) across all our fish and aquatic resources. EBFM is a holistic approach taking into account all ecological resources, from fish to dolphins and coral reefs, as well as economic and social factors in deciding how to manage fisheries. This type of approach recognises that fishing activity inevitably has an impact on ecosystems. However, providing these impacts are risk-assessesd and managed, fishing can also result in significant economic and social benefits for the WA community. Managing ecosystems along more than 12,800 kilometres of coastline and within many more kilometres of estuarine and freshwater environments presents considerable challenges. The management task is made easier by dividing the State into six separate ‘bioregions’. A bioregion is an area made up of ecosystems with common oceanic environmental characteristics and by climate/rainfall characteristics in inland river systems. The bioregions are then broken down into into ecological ‘assets’. These include ecosystems, habitats, captured fish and protected species. This allows us to focus on the ecological assets most at risk and to prioritise the use of our research, management, education and compliance resources where they are most needed. We have identified 80 regional level ecological assets across the six bioregions. Very few of these assets are at risk from fishing activities. However, we are targeting those considered most at risk with projects to address these issues.